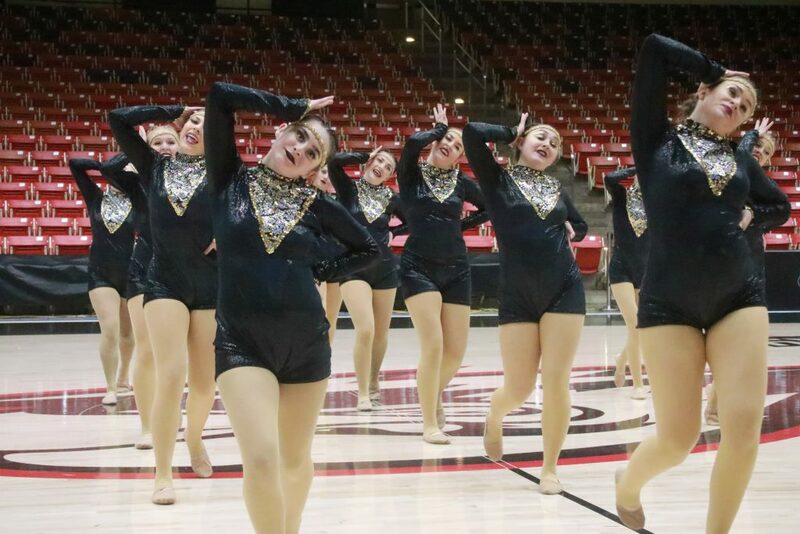 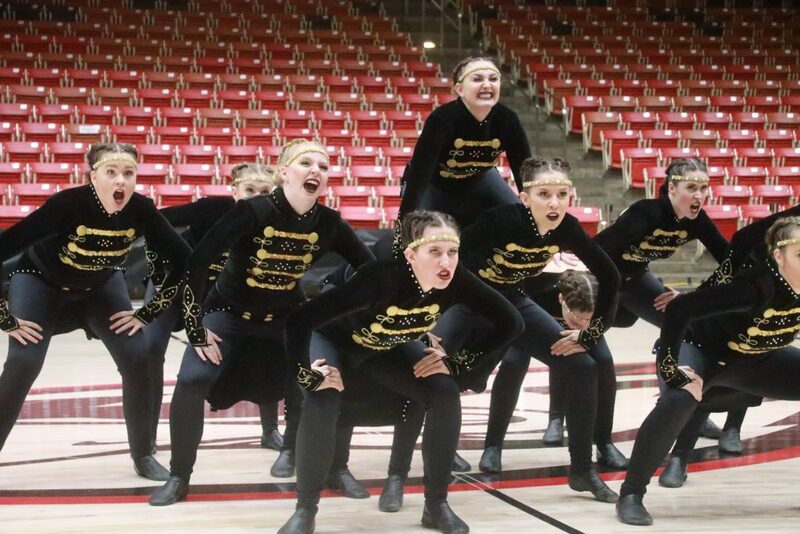 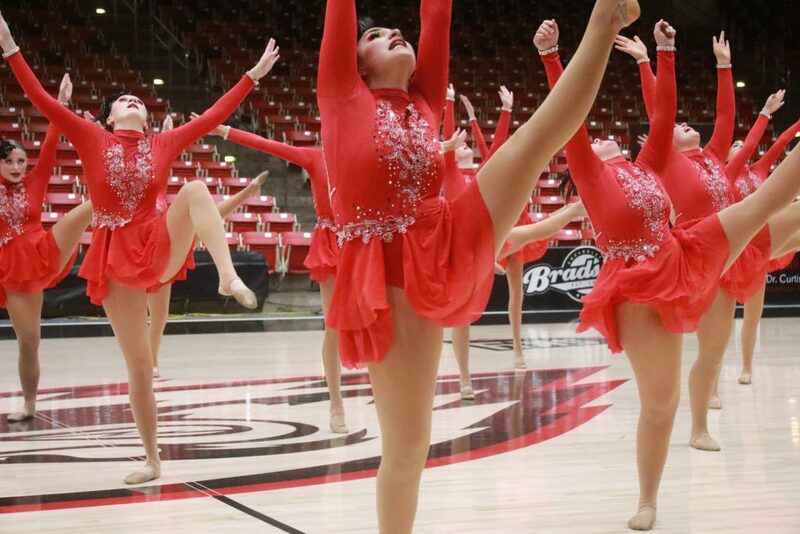 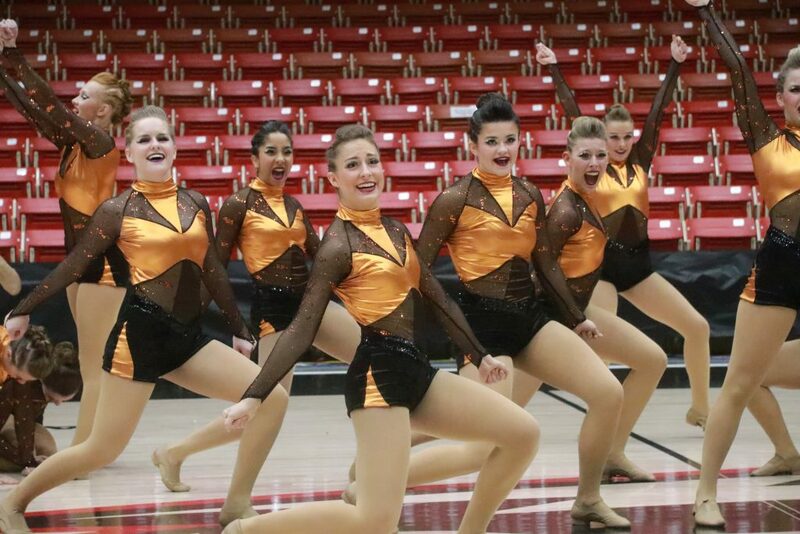 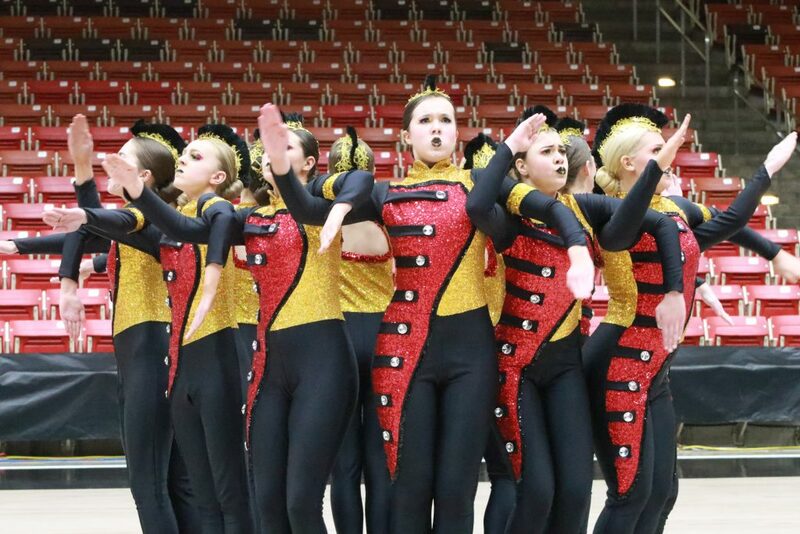 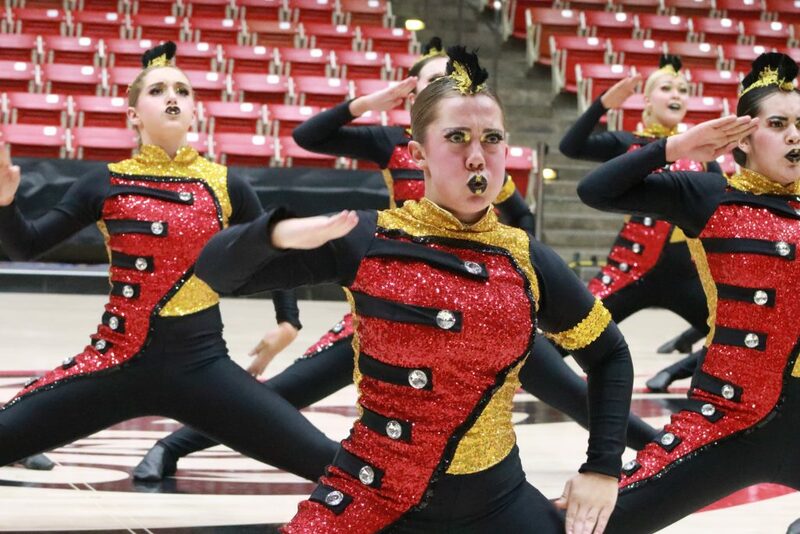 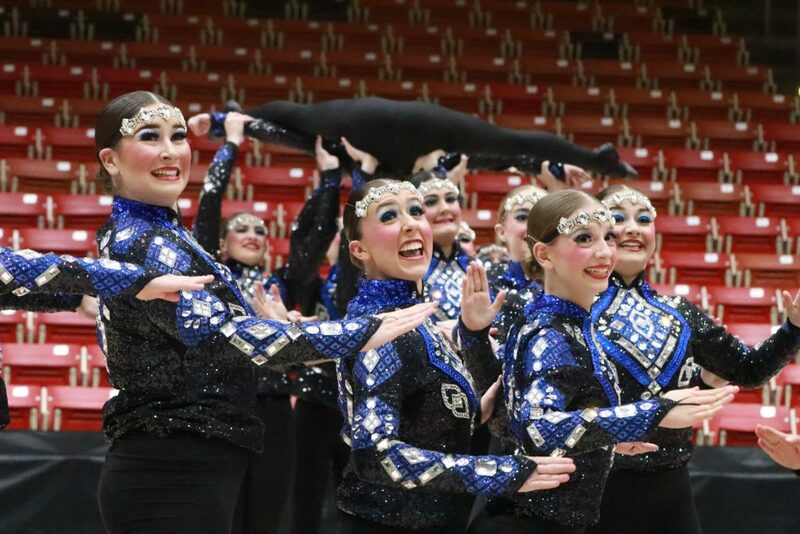 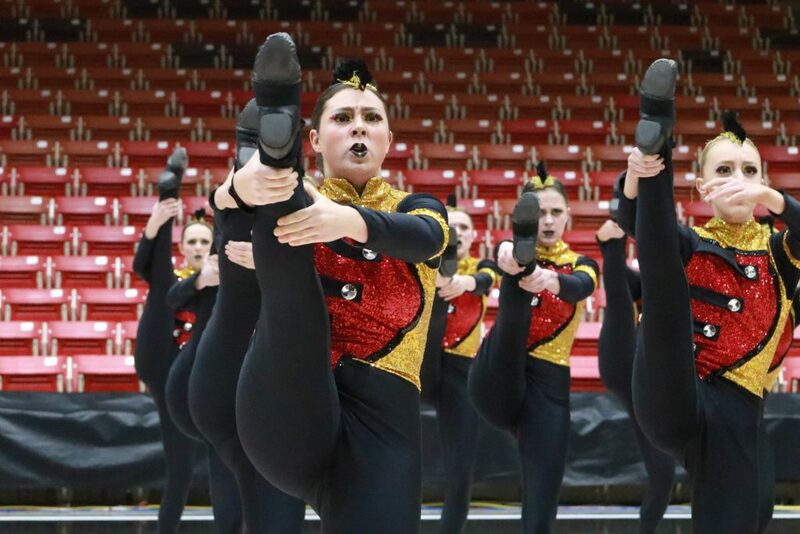 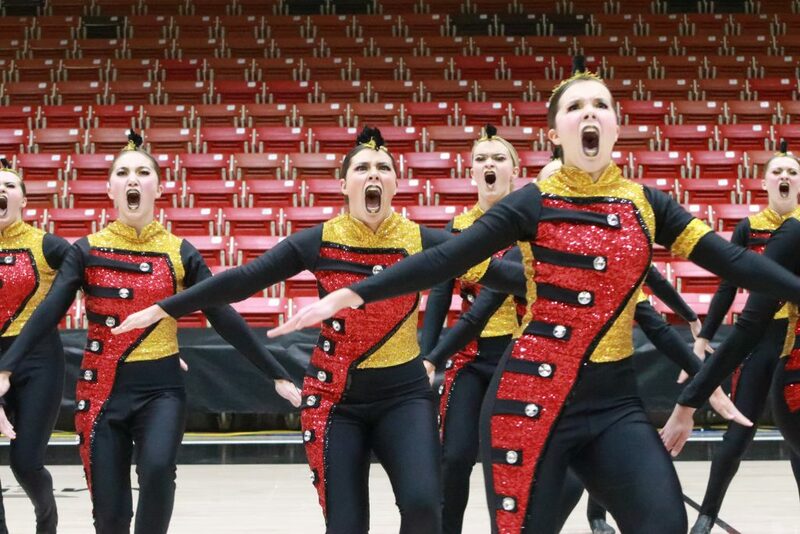 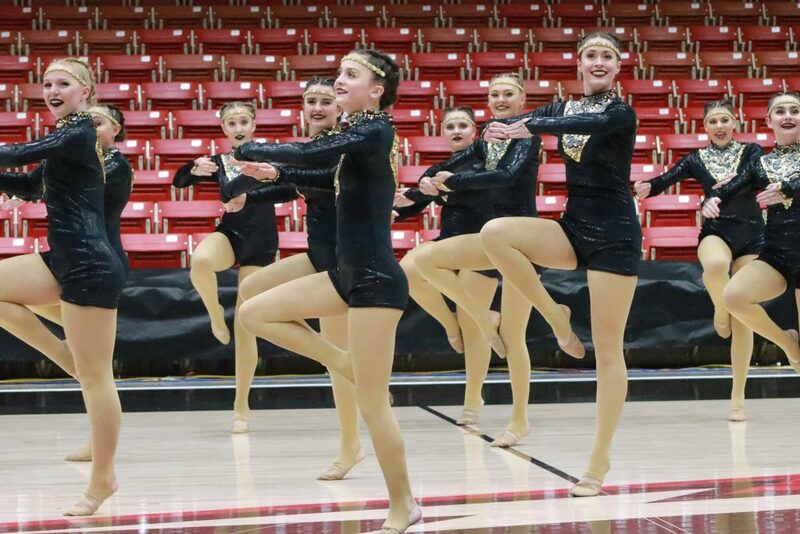 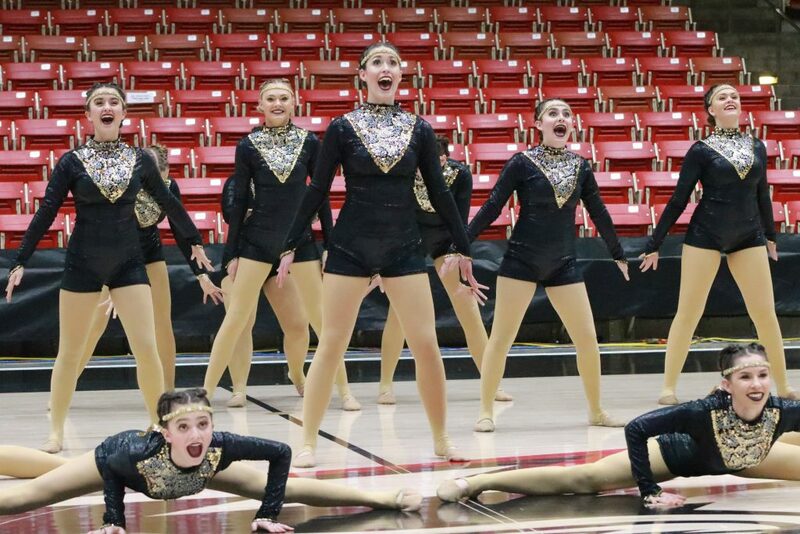 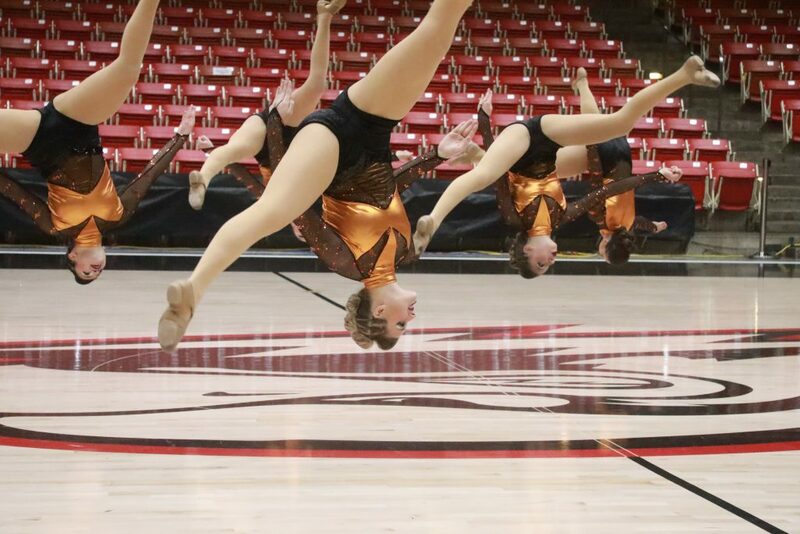 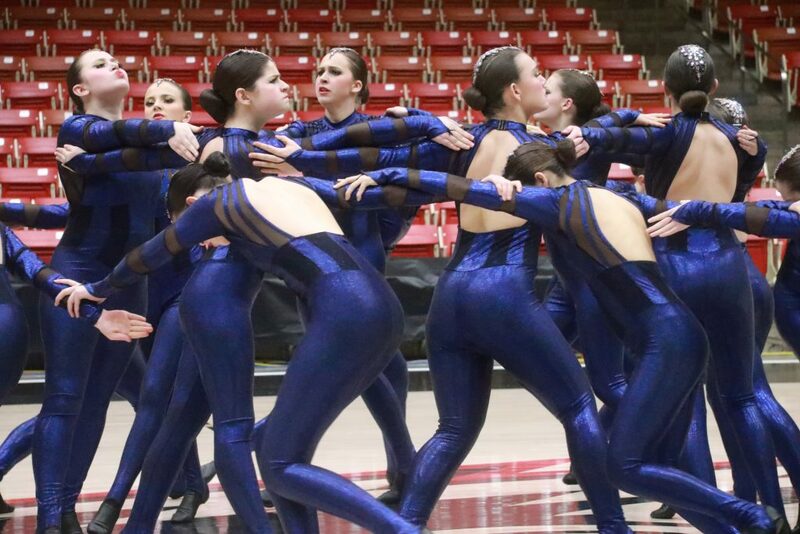 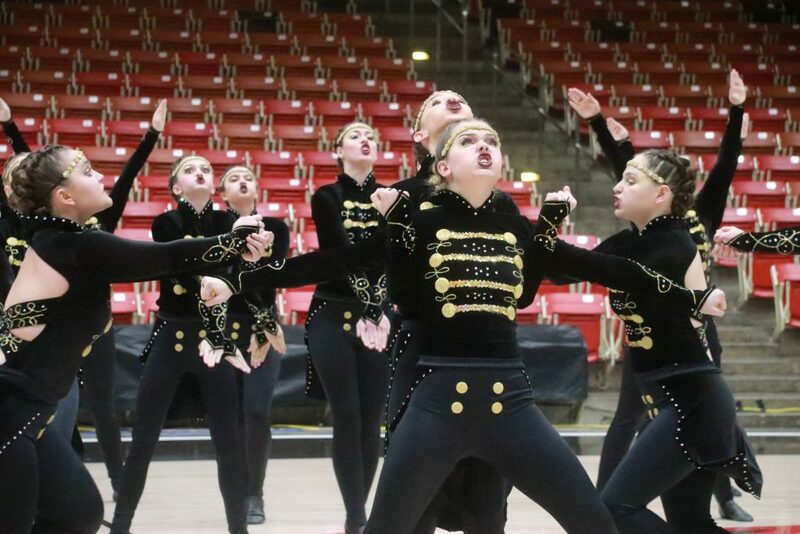 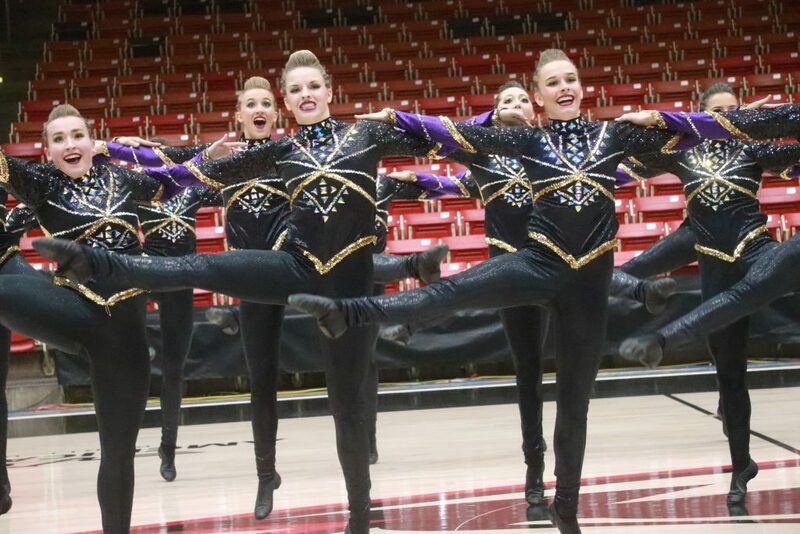 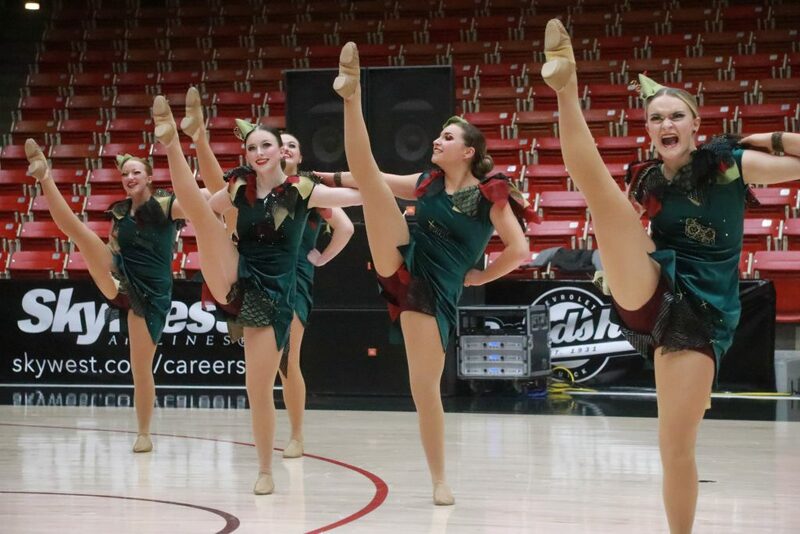 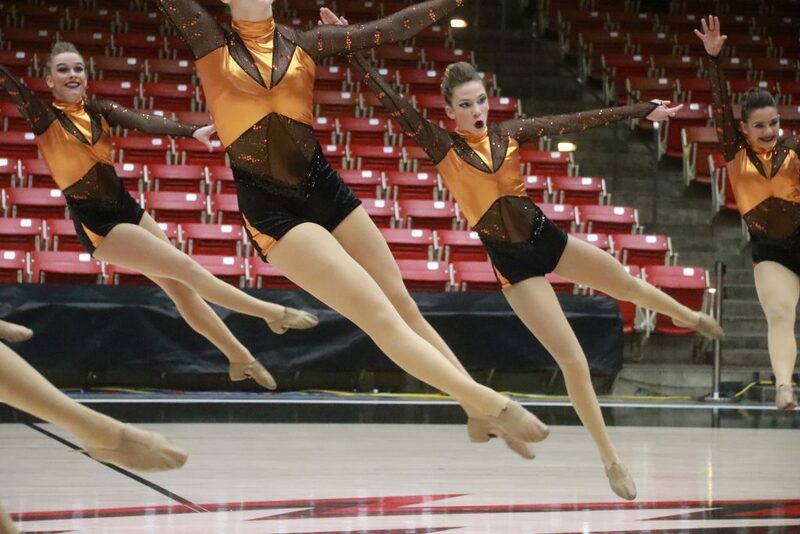 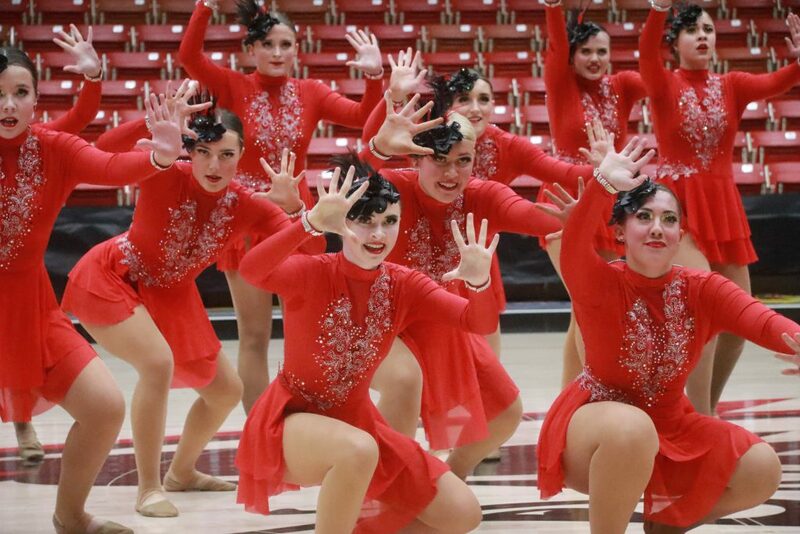 CEDAR CITY — The Desert Hills High School drill team won the Region 9 competition Wednesday night at the America First Event Center in Cedar City. 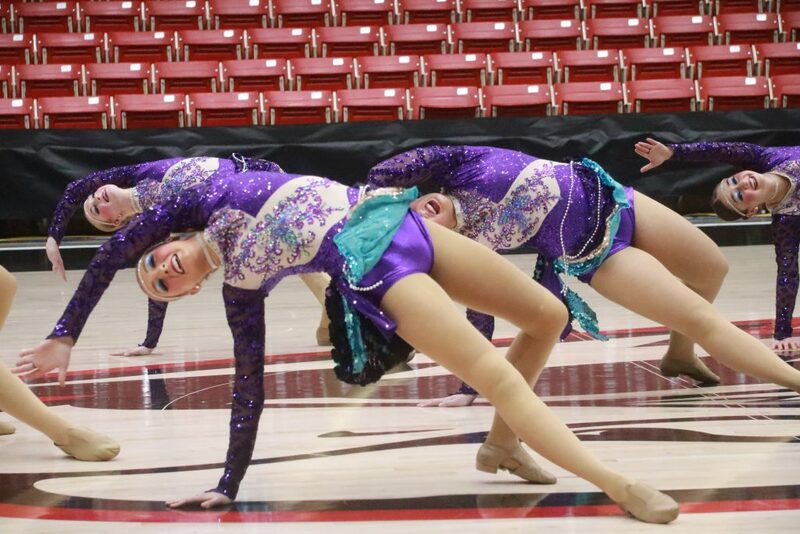 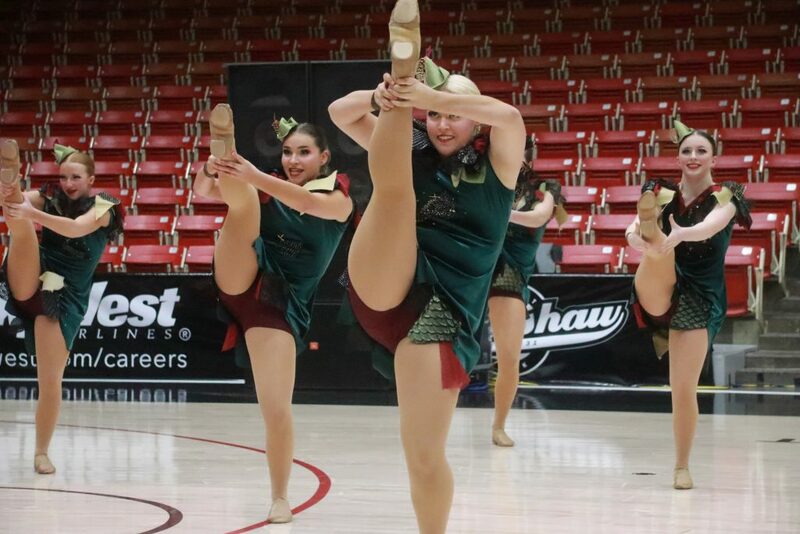 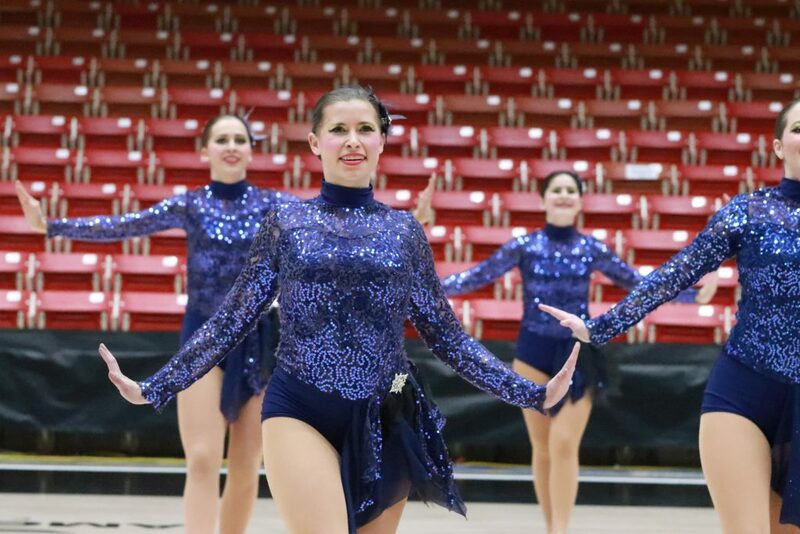 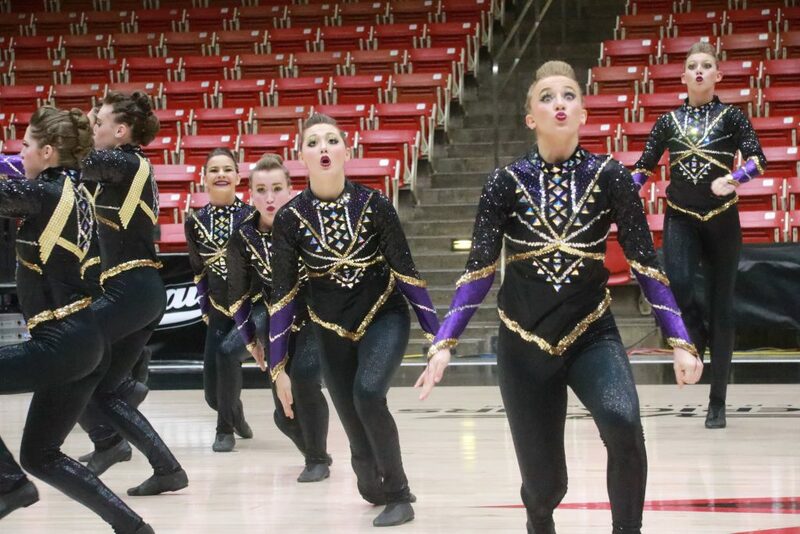 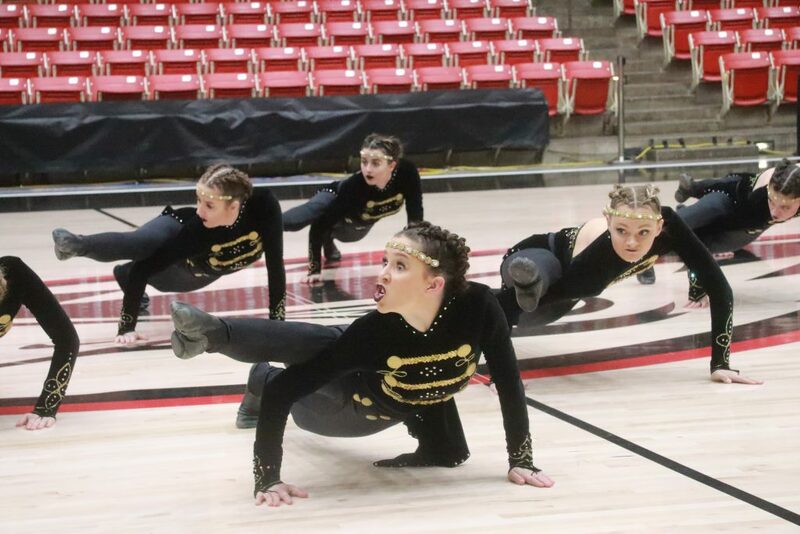 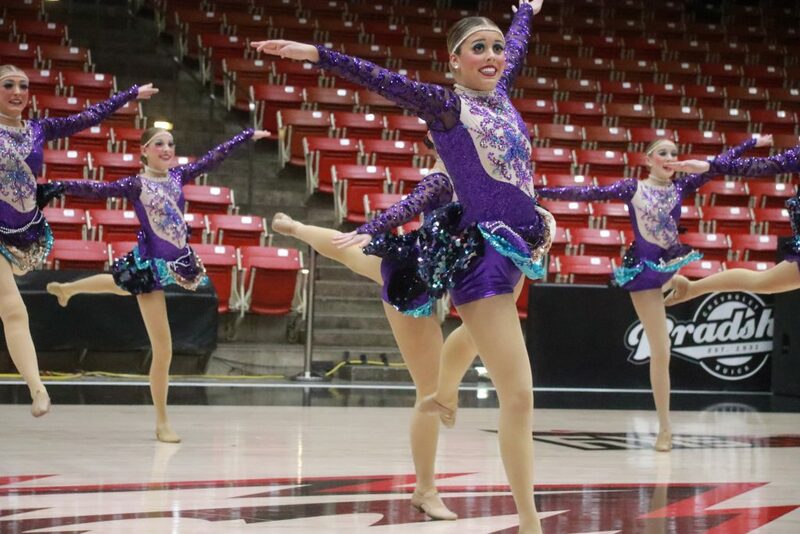 Known as the Tempest Line, the Desert Hills team took first place in both the military and dance categories and second place in the kick category. 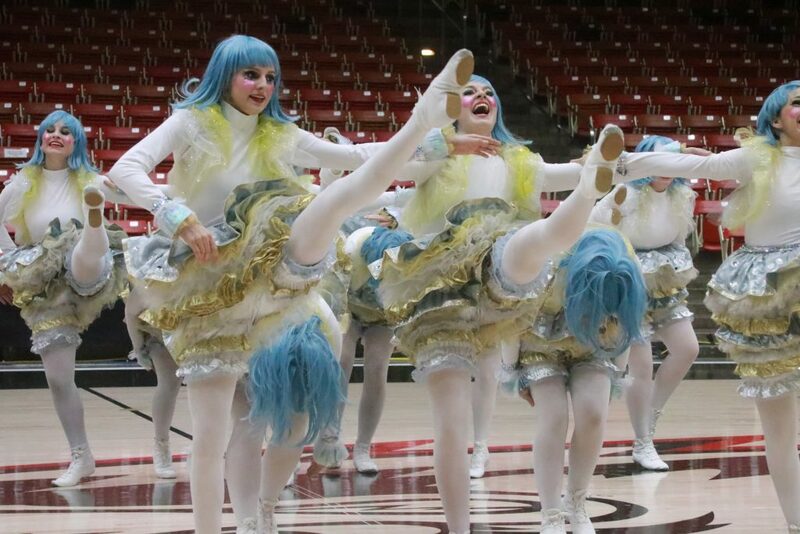 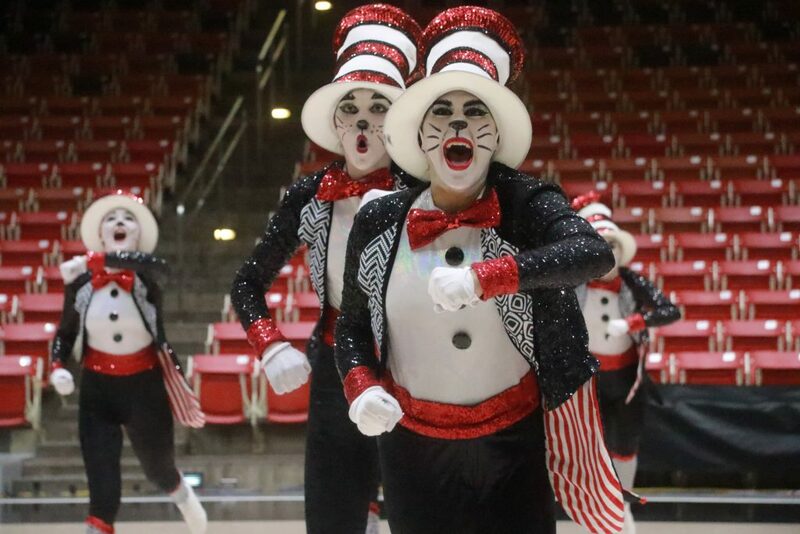 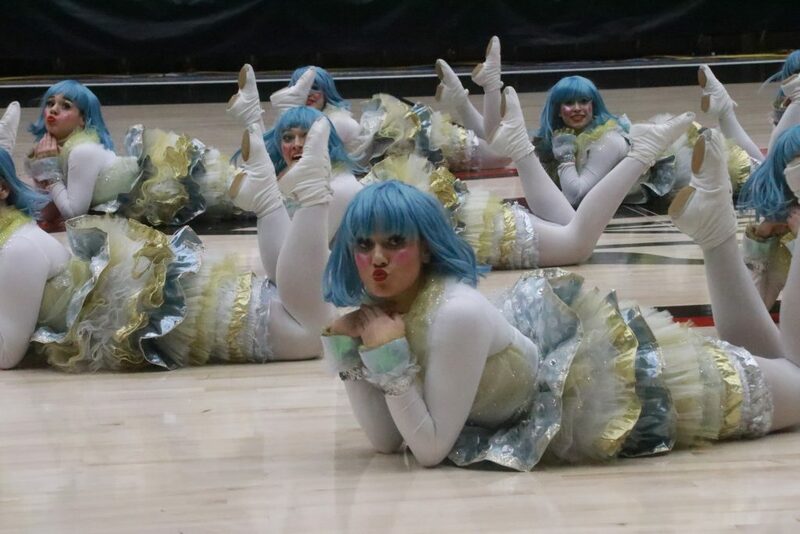 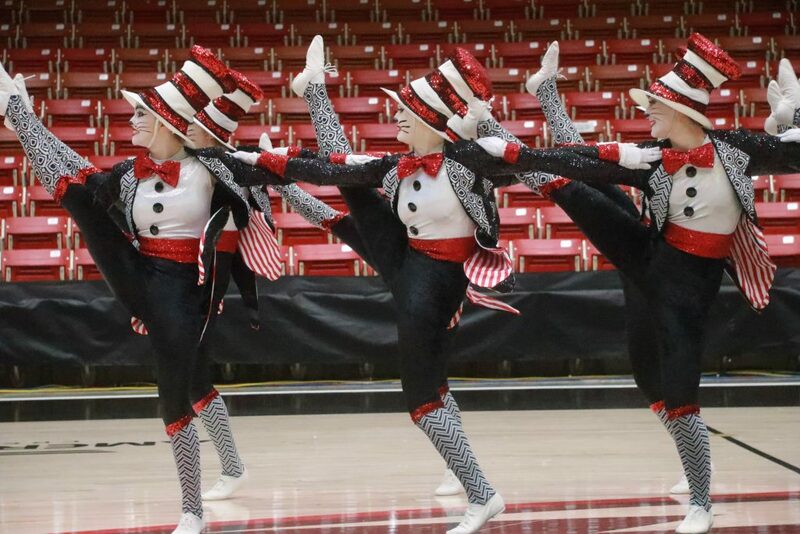 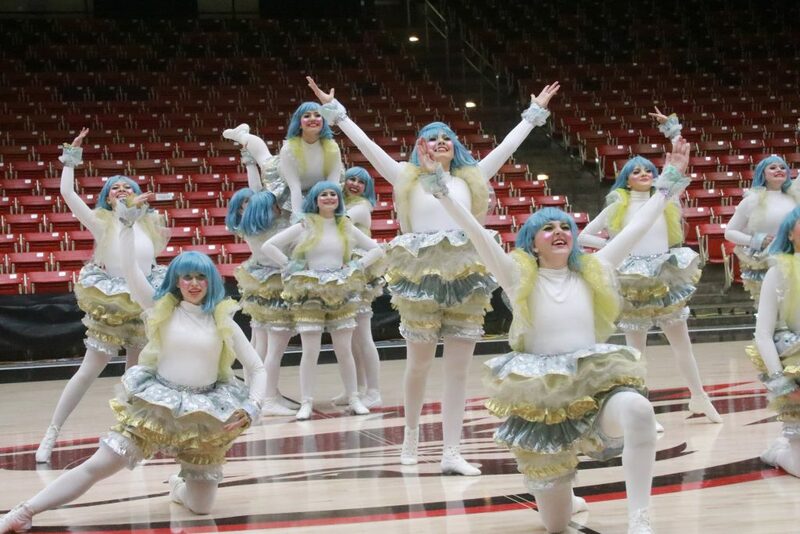 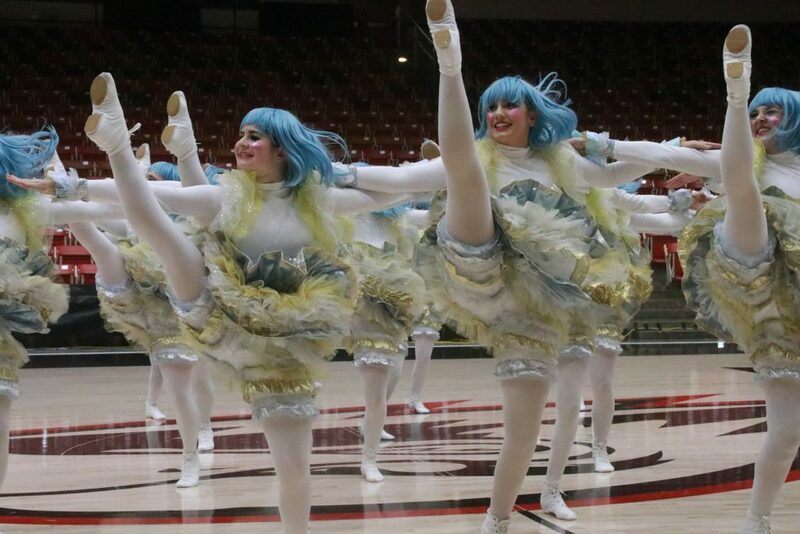 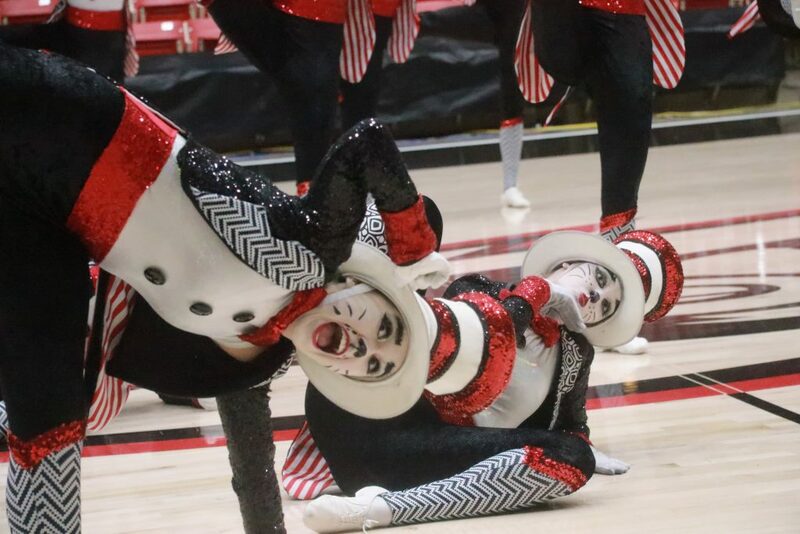 In the popular kick category, which featured more elaborate or novelty costumes, the Desert Hills performers were dressed as the Dr. Seuss storybook character The Cat in the Hat. 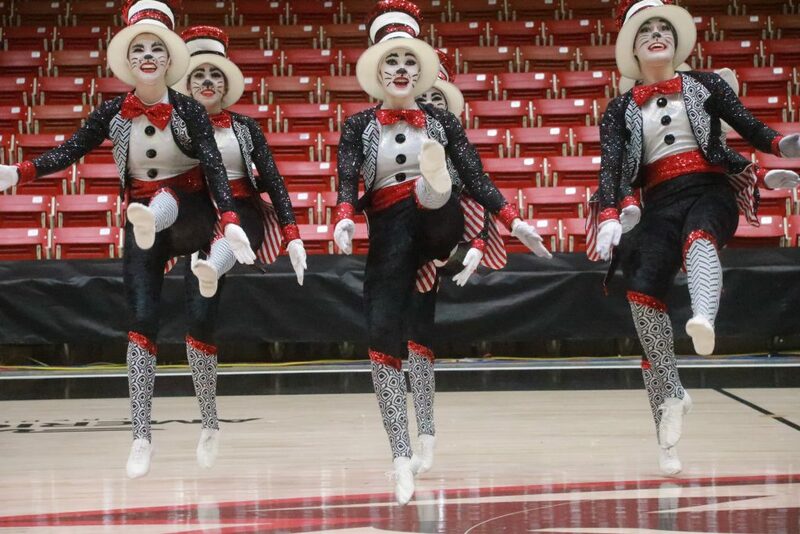 Christensen said her girls enjoyed bringing the mischievous feline to life. 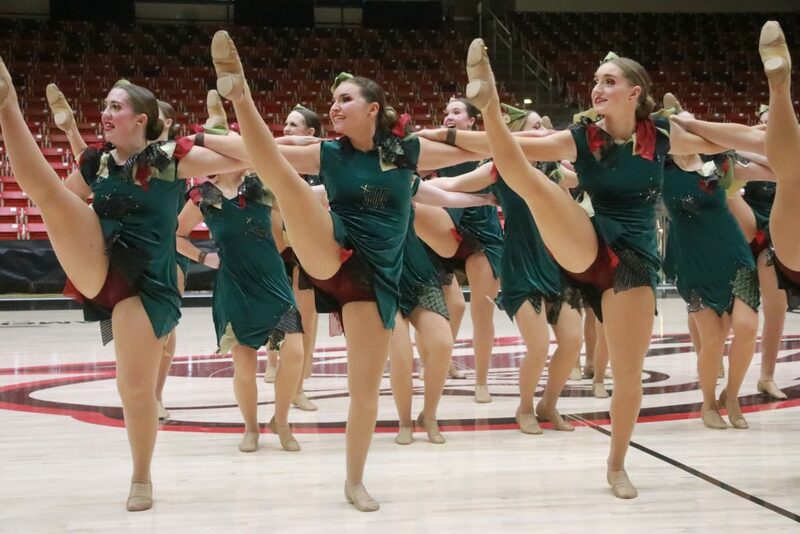 Coming in a close second place overall were the Dixie High School Jetettes, who won the kick category and placed second in both military and dance. 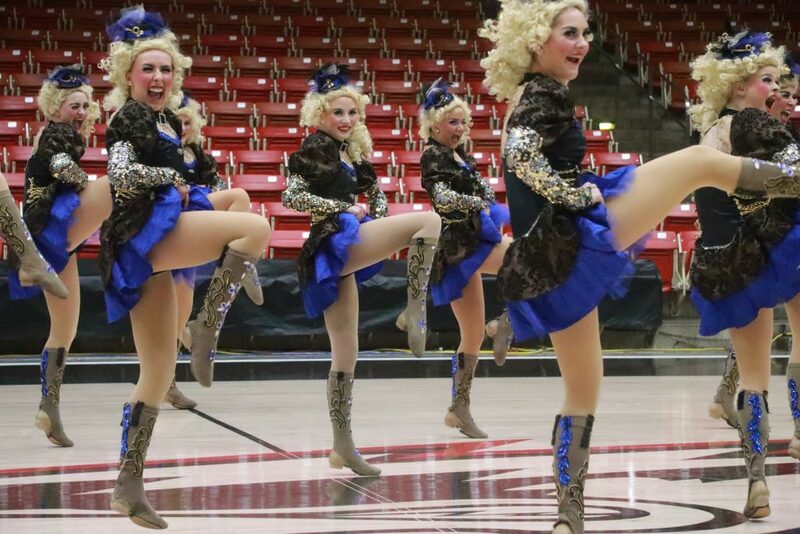 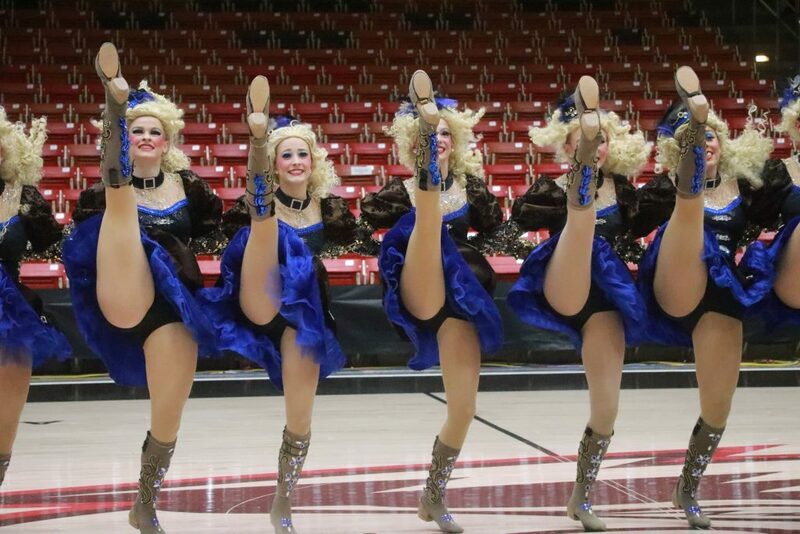 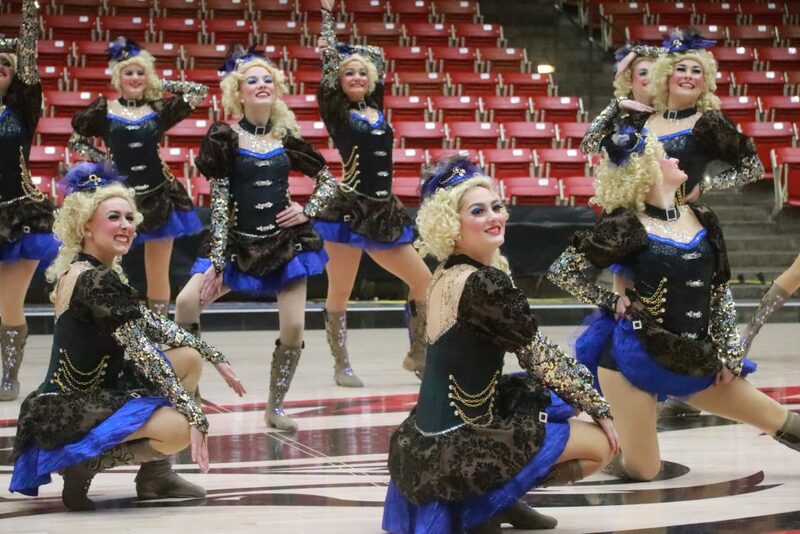 The Jetettes sported curly blonde wigs for their lively kick routine. 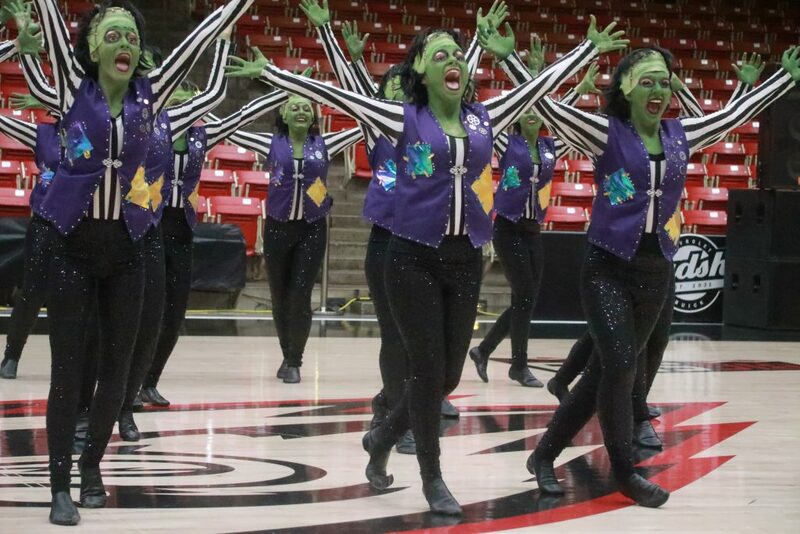 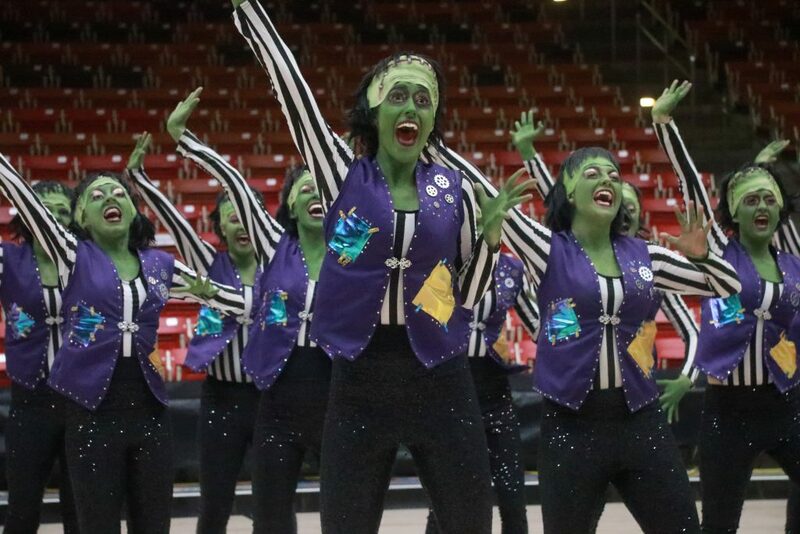 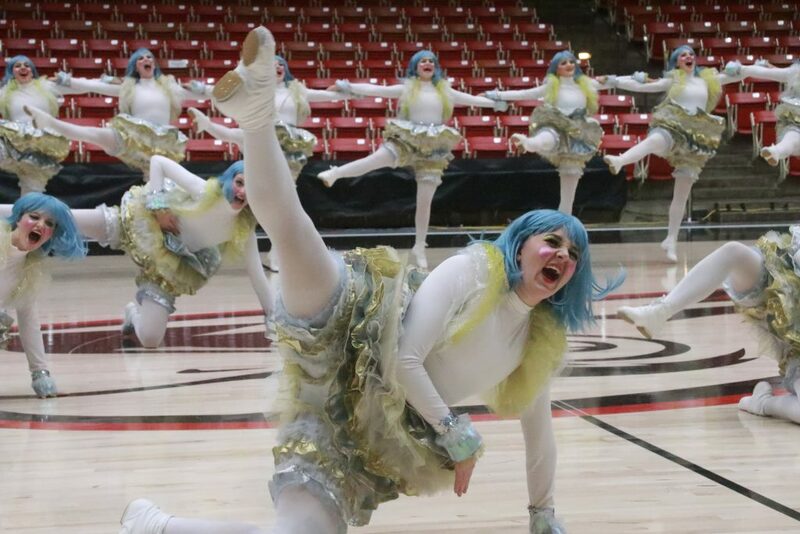 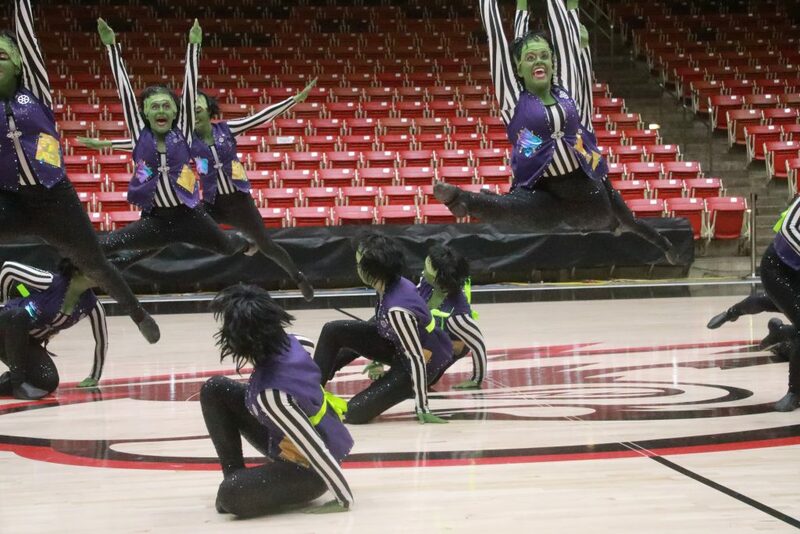 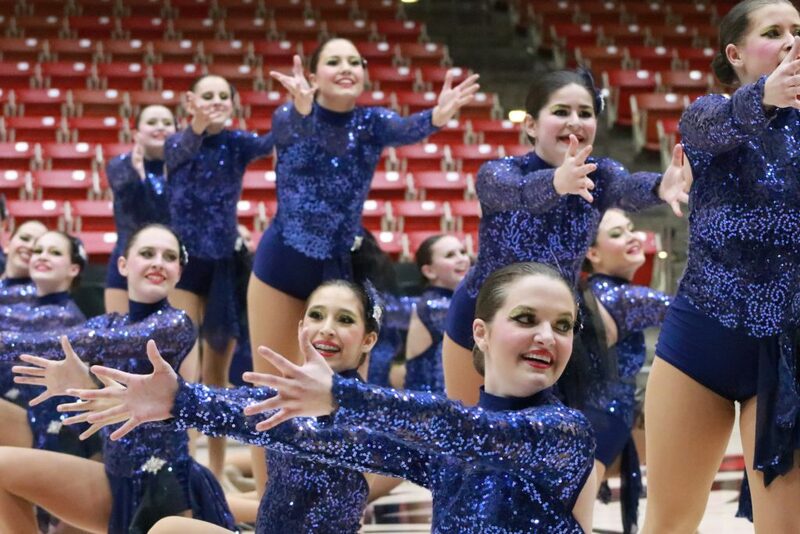 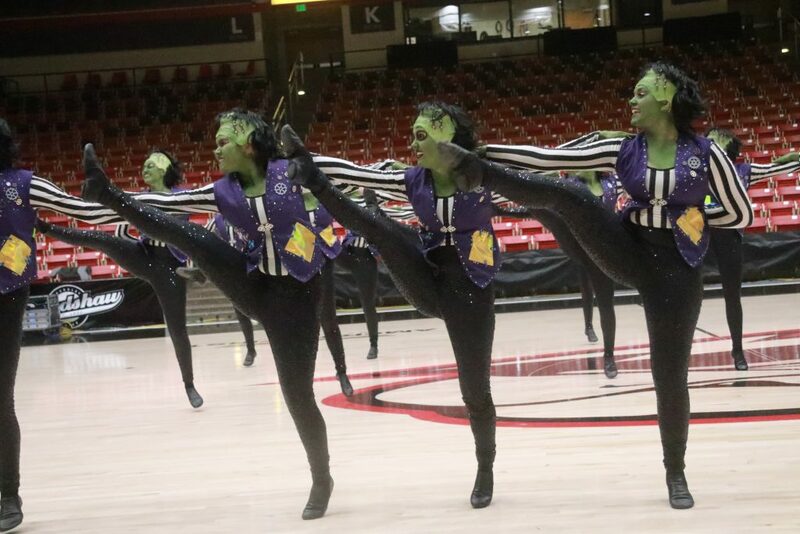 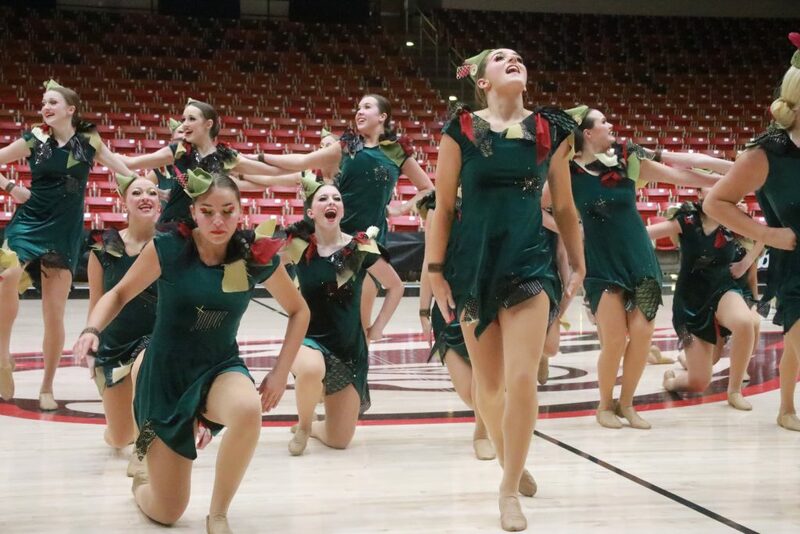 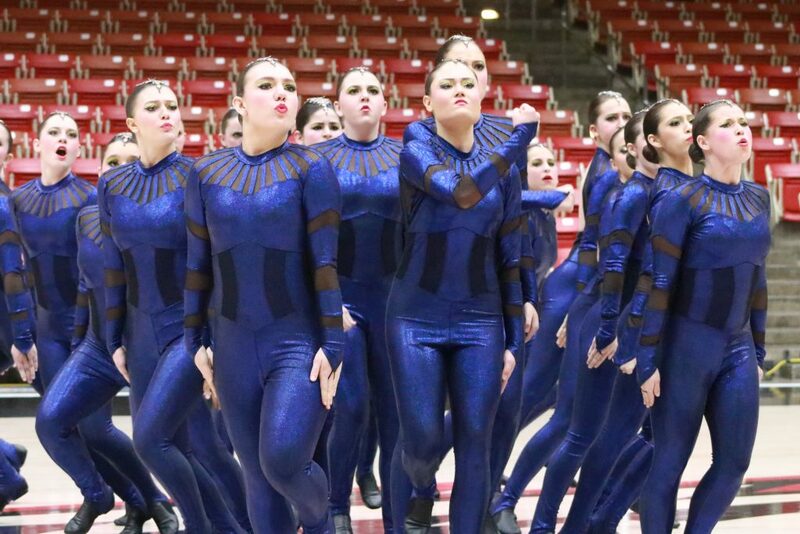 Canyon View High’s Talons, who wrapped up the evening with their Frankenstein’s monster-themed routine, ended up in third place overall, while the Snow Canyon High Eshelles placed fourth and Cedar High’s Mohey Tawa took fifth. 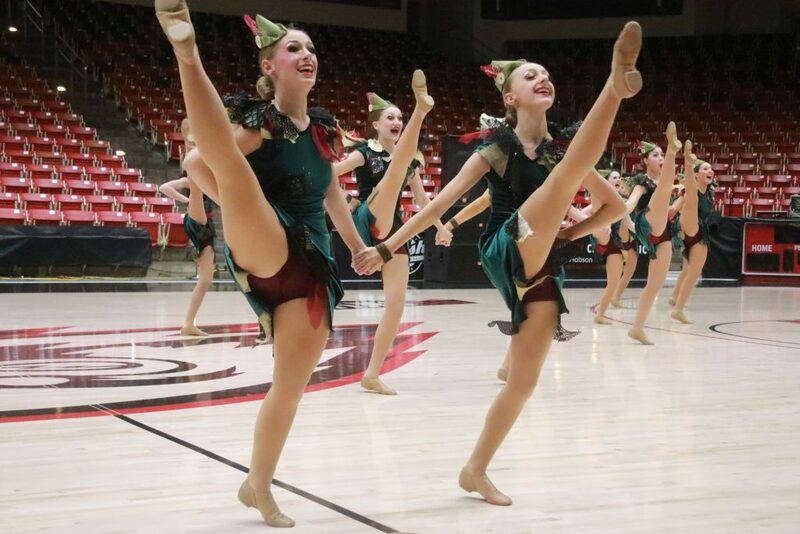 The top four teams from each region qualify to compete in next week’s state 4A championships, scheduled to take place Jan. 31 and Feb. 1 at Utah Valley University’s UCCU Center in Orem. 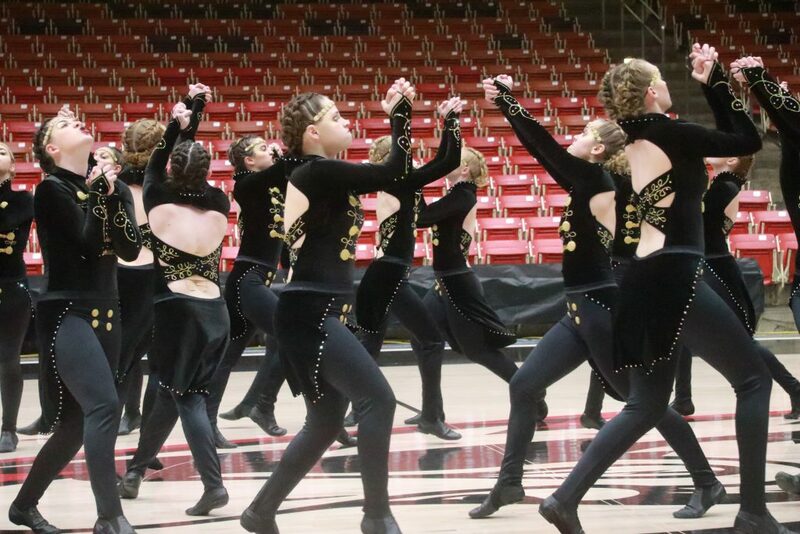 As the reigning state 4A champions, Desert Hills will be looking to defend their title. 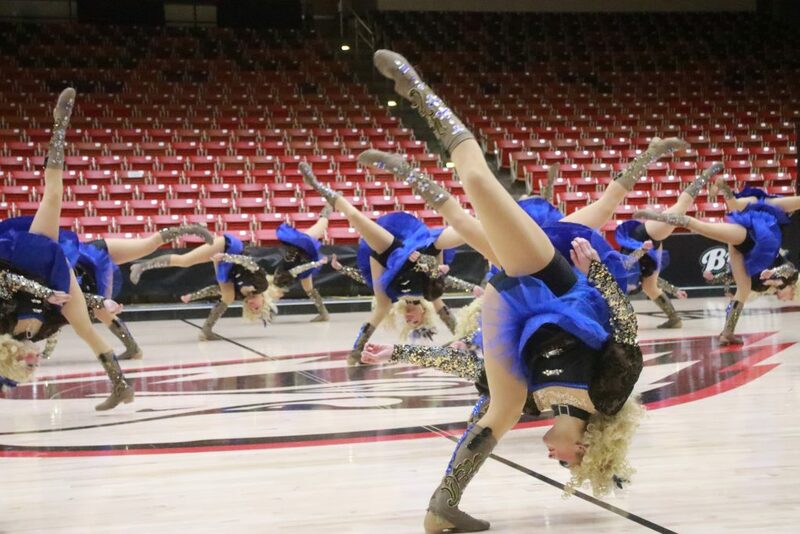 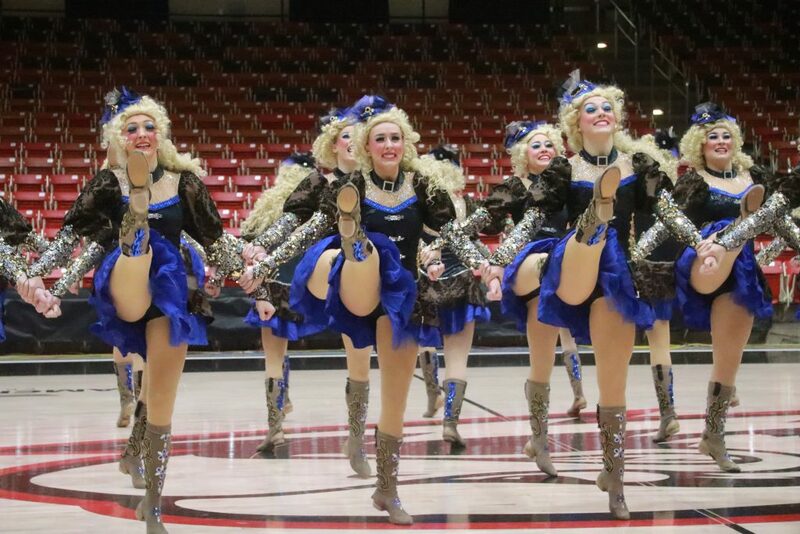 Dixie’s Jetettes won the 3A state championship the previous year, in 2017. 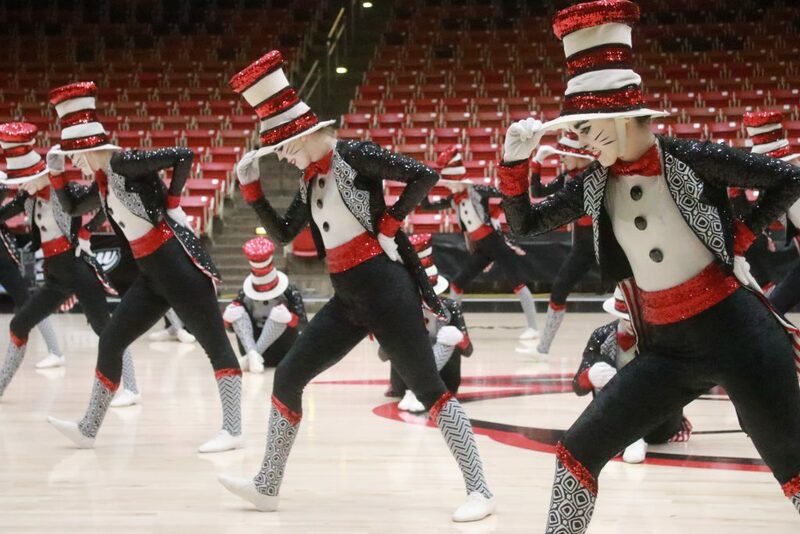 For a visual recap of the many entertaining and expressive performances Wednesday night, check out the St. George News / Cedar City News photo gallery below. 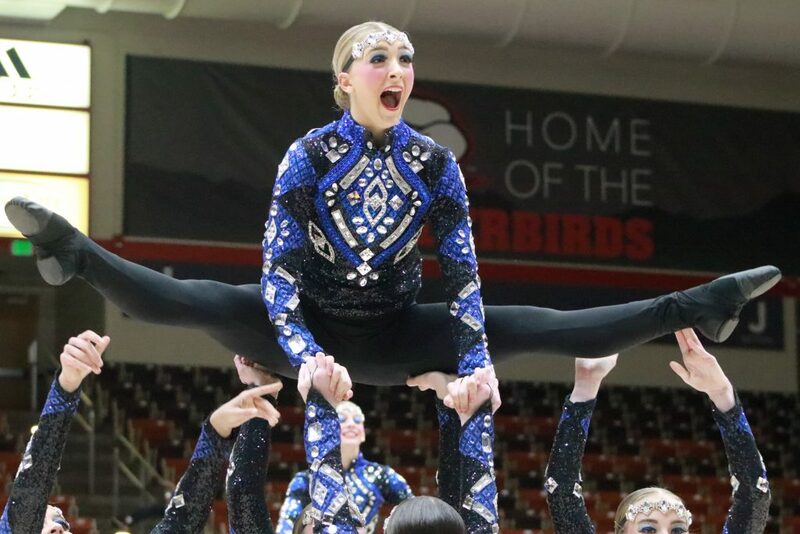 All-Region Team: Cashly Curtis, Shelby Haycock, Aleesha Adams. 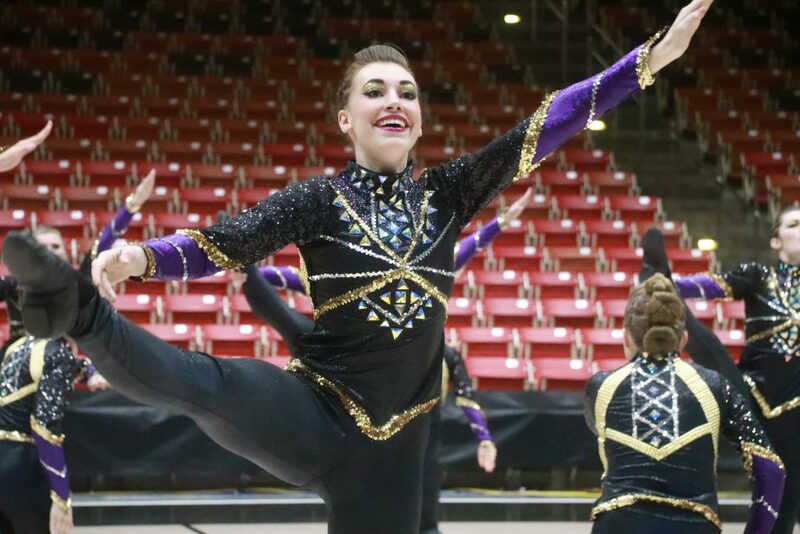 Academic All-Region Award: Collette Terry. 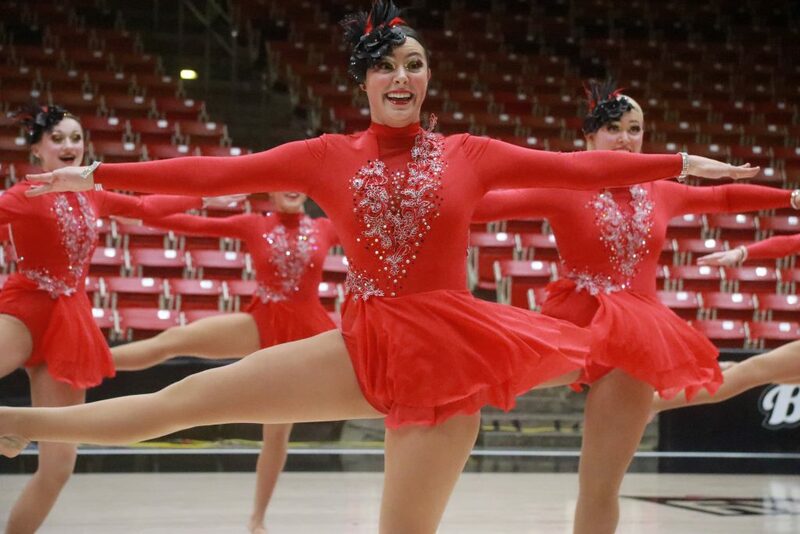 Team Hero Award: Cheyann Watson. 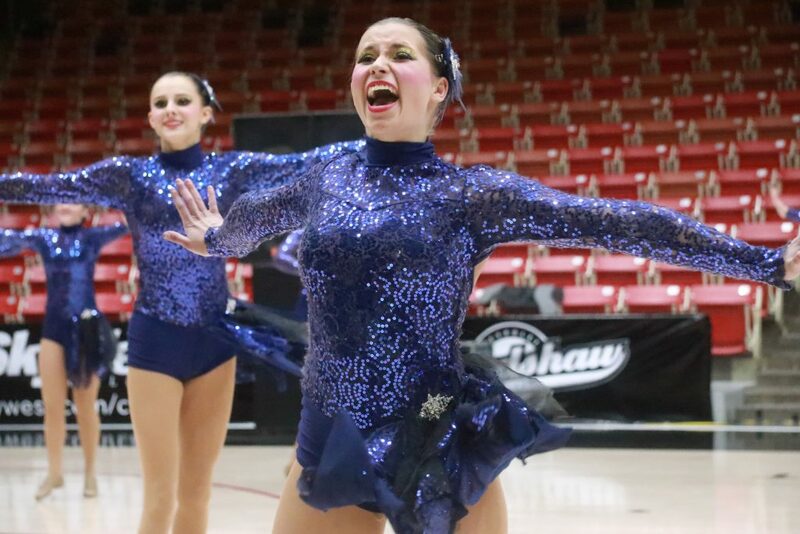 All-Region Team: Khari Nielsen, Josie Jenkins, Fallon Montgomery. 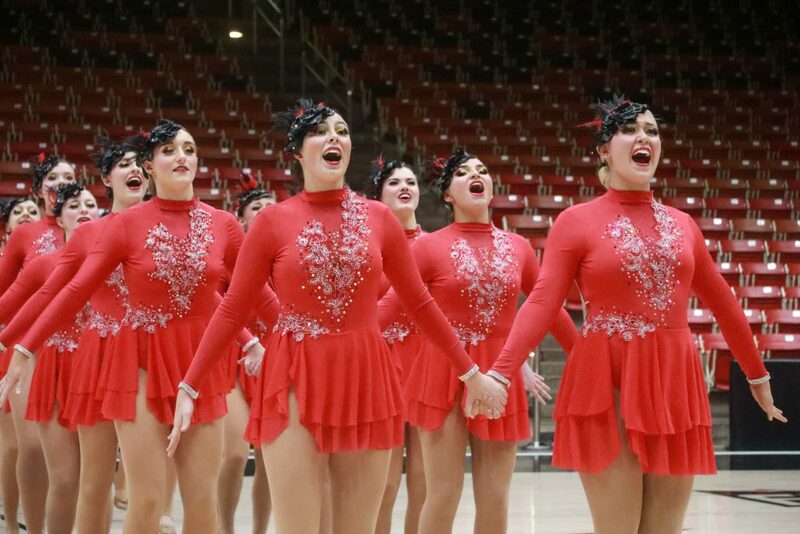 Academic All-Region Award: Trendee Palmer, Lainee Rosenberg. 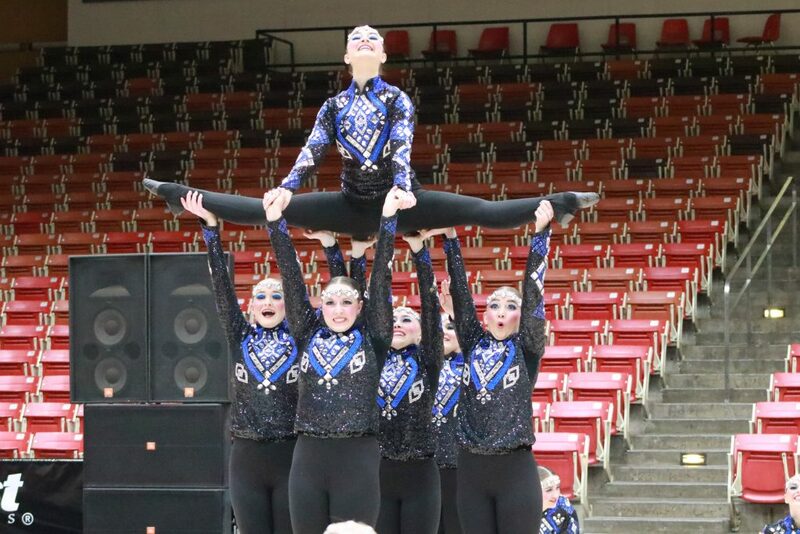 Team Hero Award: Hannah Blodgett. 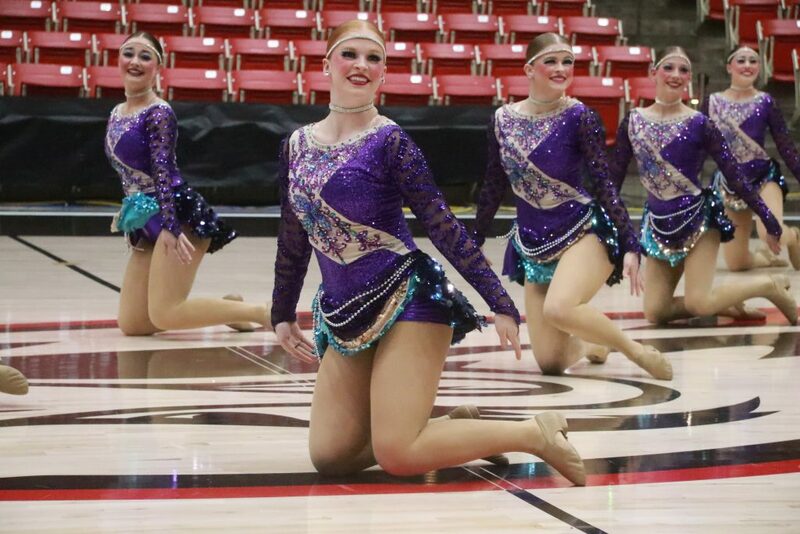 All-Region Team: Brinkley Matheson, Mayen Busk, Ali Stum. 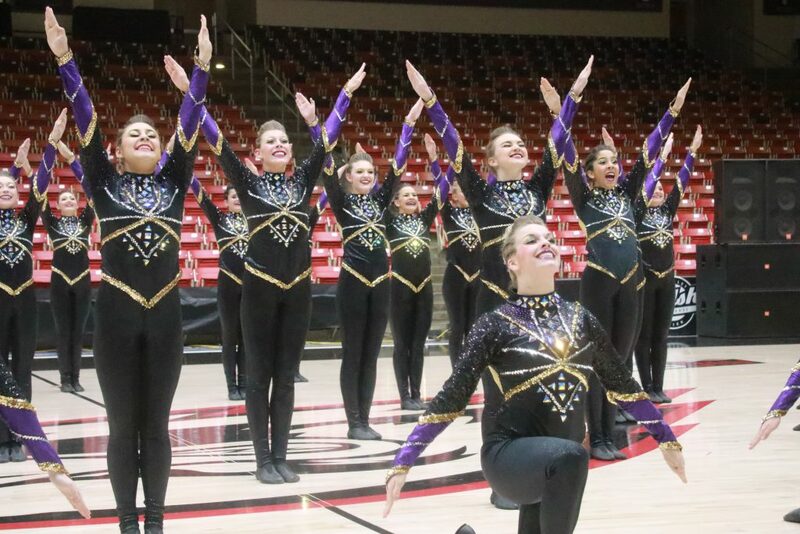 Academic All-Region Award: Mayen Busk, Josie Staheli, Scotlynn Keate, Kaylee Esplin, Brinkley Matheson, Senisa Zambrano, Emily Shaffer, Ali Stum, Mya Arrey, Hannah Justvig. 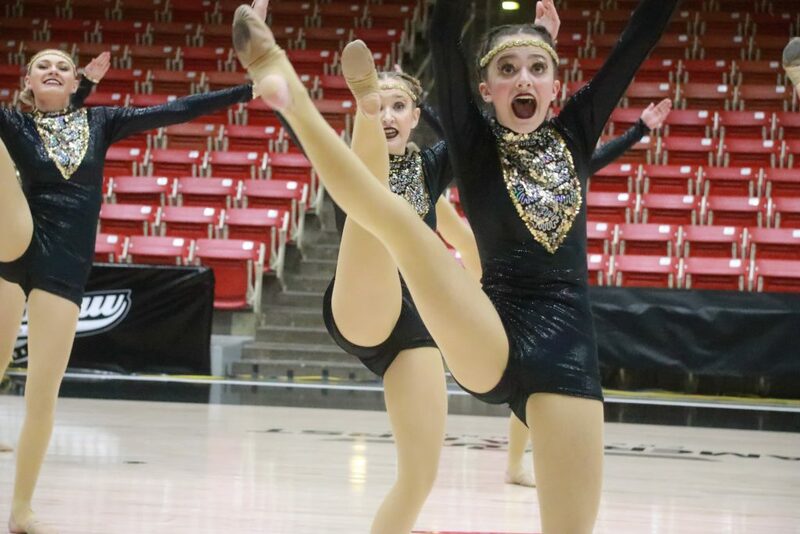 Team Hero Award: Mya Arrey. 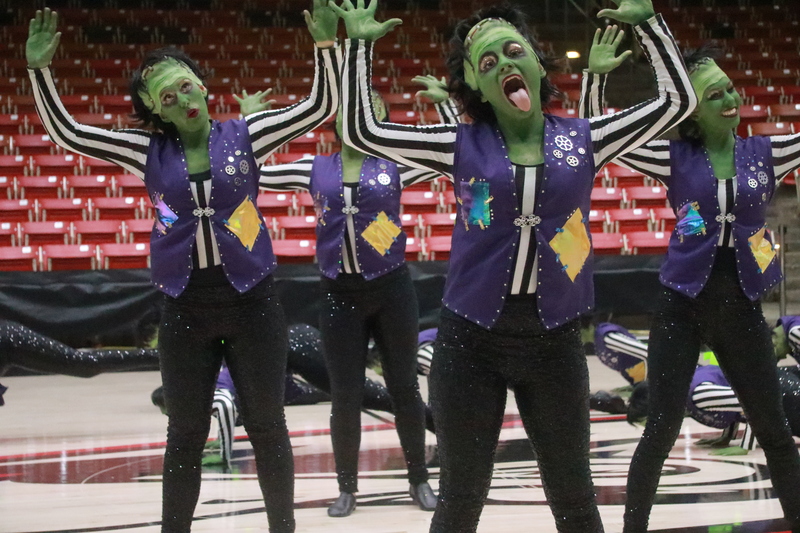 All-Region Team: MaKall Fabrizio, McKinze McArthur, Deja Nicholes. 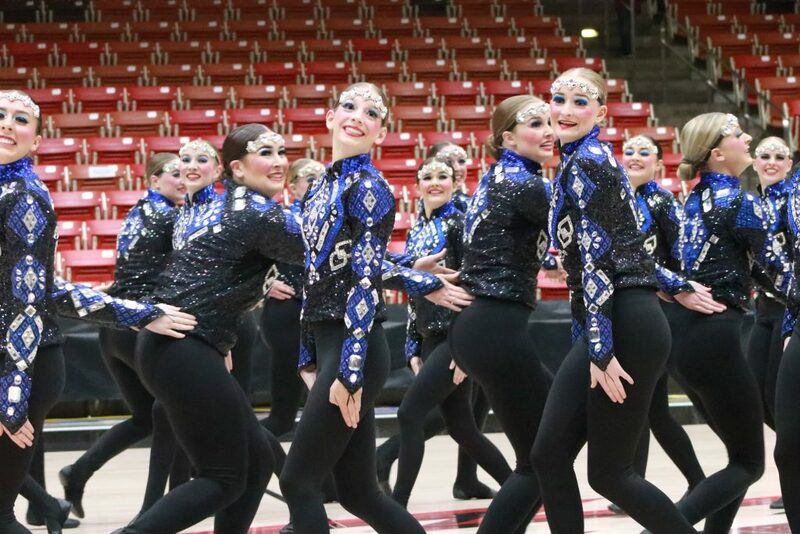 Academic All-Region Award: Hannah Doherty, MaKall Fabrizio, Courtney Grob, Reilly Harris, Sienna Jones, McKinze McArthur, Deja Nicholes, Kennedy Peterson. 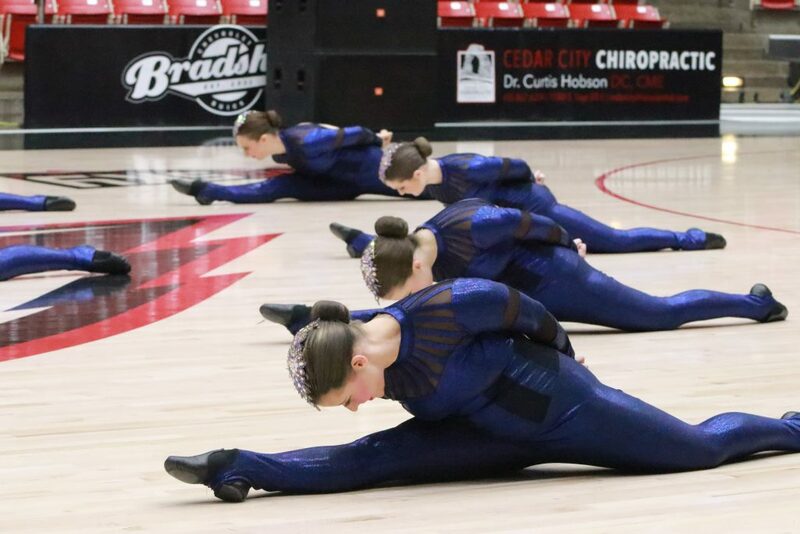 Team Hero Award: Rick Ericksen. 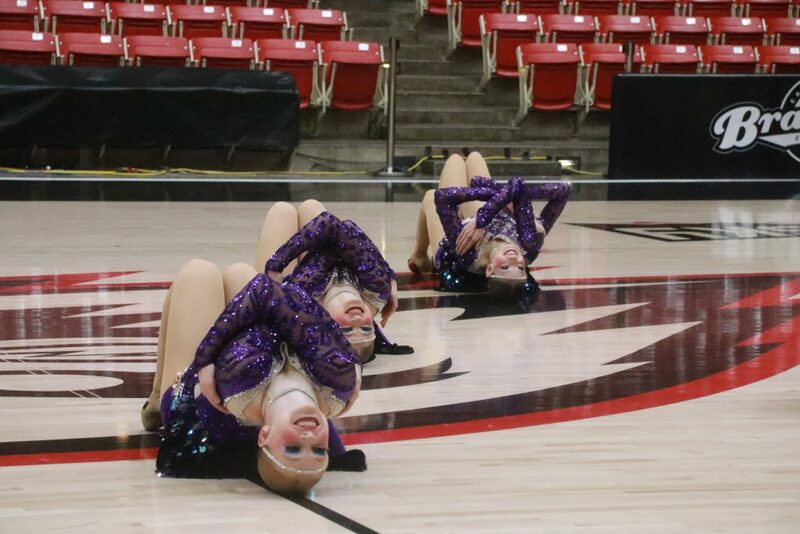 All-Region Team Members: Grace Walter, Logan Johnson, Krystin Welch. 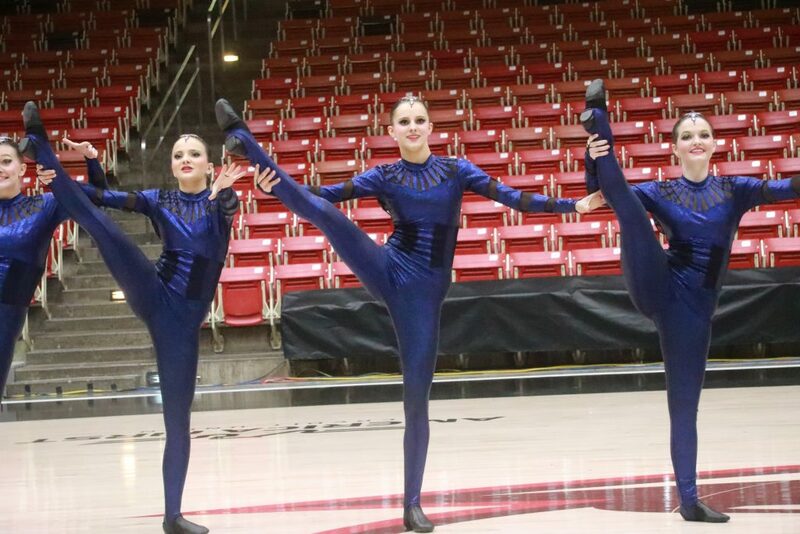 Academic All-Region Award: Grace Walter, Logan Johnson, Brooklynn Reynolds. 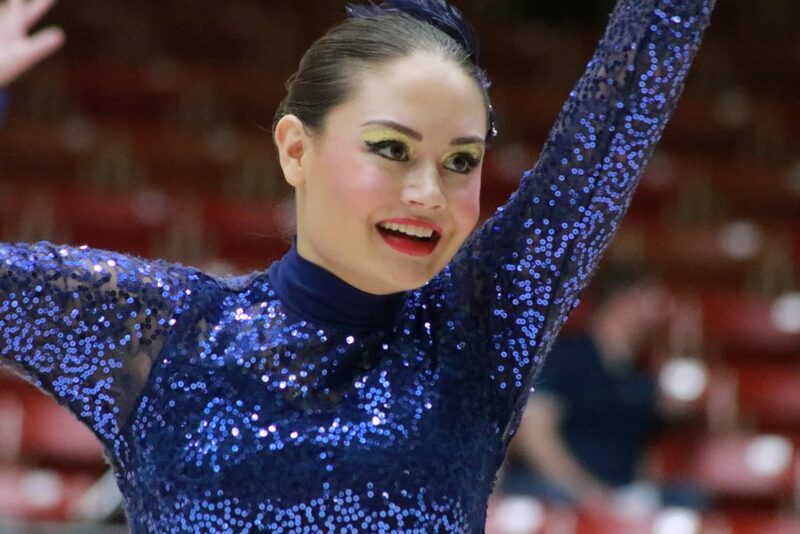 Team Hero Award: Jaynah Pectol.